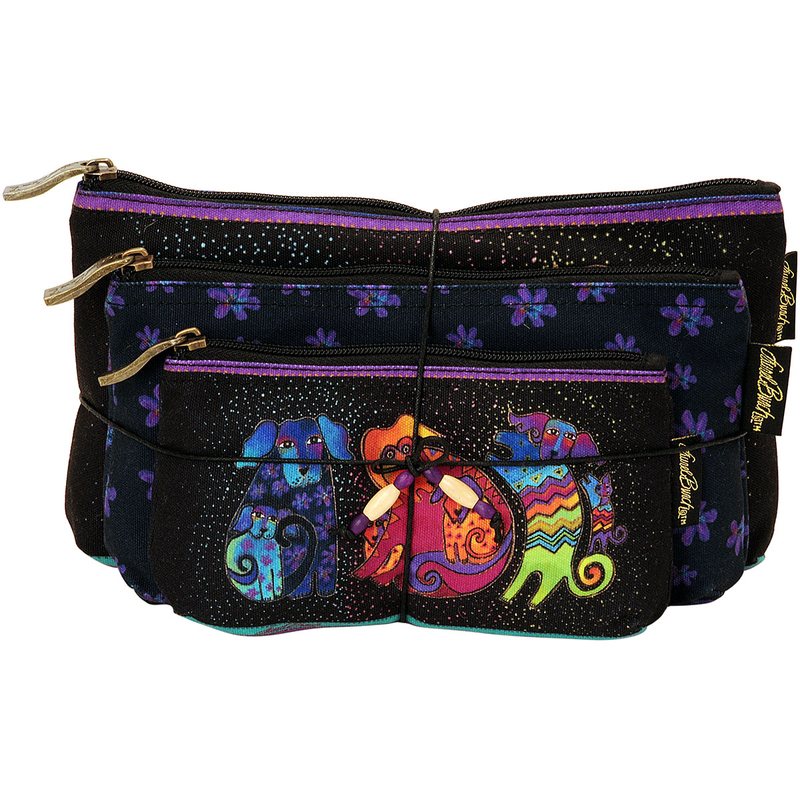 LAUREL BURCH-Cosmetic Bag Set of Three: Dog & Doggies. The brilliant hues and wonderful patterns of these carefully designed totes appeal to everyone. They are artful and useful at the same time! This package contains three zipped bags ranging from sizes 4-1/2x7-1/2, 5x9 and 6-1/2x10 inches. Imported.